Since its unveiling, and especially once it was announced for production, the Chevrolet Volt has been a controversial car. Much of the controversy surrounding the Volt has been perpetuated by misconceptions about the car. One persistent semi-myth is that the Chevrolet Volt will take forty years or more to make up its cost versus a gasoline counterpart. Usually the comparison is between the Volt and the Chevy Cruze upon which its platform is based. This myth is persistent because it’s largely based on reality. Compared to the smaller, cheaper, and efficient Cruze, the Volt is definitely a price hog that will almost never make up the difference in fuel savings alone. The trouble with this comparison, fair as it may seem on the surface, is that the Cruze is an entry-level small sedan while the Volt is more of a premium model that borders on the entry-level luxury market in its fittings. No trim level of the Cruze comes even close to the technology options and fittings in the Volt. Honestly, there is no fair apples-to-apples comparison in gasoline-only to pit against the Chevy Volt. Knowing all of that, however, we do know that were the Volt itself a gas-only vehicle, it would likely get in the 30-35 mpg range on the highway and cost about $27,000 at premium point (vs. about $44,000) – averages for the vehicle category the non-EV Volt would fit in. Using those numbers, we could calculate a price return rate of about four to six years – longer than the expected ownership lifespan of the average Volt owner, who is either leasing or are on 3-year trade-in cycles of vehicle ownership. This is extremely simplistic, but few car buyers really do even this kind of rudimentary math when considering a purchase. Most will look at sticker price and whether or not the car fits their needs/wants. Add in the fact that the average Chevrolet Volt buyer has an annual income of about $170,000 per year – far above the national average – and you can see the point being made. This is an annoyingly persistent myth that is purely in the same realm as flying horses and Nazis on the moon. The fires that triggered this worry were induced by safety regulators testing the Volt and have never happened in the field or in standard testing. In order for the Volt to catch fire as it did in those tests, it would have to be rolled over and end up on its side (highly unlikely) and then be left on its side for at least two weeks so that the battery coolant could slowly break down the barriers preventing it from getting to the control electronics and then short those electronics out. Given that enough battery power is left at that point, the electronics can melt and start a fire. The scenario is so unlikely that it’s far more likely that a stray bullet would pierce the gas tank in just such a way as to cause an explosion. A reality so far fetched that even the Mythbusters weren’t able to pull it off when attempting to prove the Hollywood movie staple. 4/14/2013 This section rescinded by the author, who concedes that his original premise was incorrect and who is not interested in re-writing this section to make it correct. Another really lame claim made by many a Volt owner about his or her purchase. For the Chevrolet Volt to actually get better than 200 MPG (or its equivalent), it would have to be driven completely on electricity at all times and never have its gas engine kick on, even excepting [edited 4/13/2013] for the automated precaution of fuel circulation. Added 4/13/2013: No combustion engine in the world is capable of 200+ MPG. Not even the Volt’s. To include any other fuel source into the MPG measurement is to instead measure miles per gallon equivalent, not the actual MPG. This is what the Volt’s on-dash readout is giving, not actual MPG. Most people don’t understand that combustion engines need to be exercised occasionally – storing a vehicle, even drained of fluids, will eventually cause the engine to become inoperable as seals break down and components rust. In the Volt, the problem is fuel going bad from sitting around for too long (added 4/13/2013: and engine fluids settling and “caking” or separating). So the car will automatically run the engine to burn fuel, even if the battery is fully charged, as an occasional measure to keep the fuel from separating or going sour. Because the Volt requires premium (high octane) gasoline, it is even more likely to suffer from gasoline storage problems. Added 4/13/2013: The engine must also run to provide heating or air conditioning for the passengers. Claims of averaging over 200 MPG (some as high as 800 or more) over several months are just patently untrue. There is no way, pragmatically, that this could be done unless the fuel tank were completely drained (not a good idea long-term) and the vehicle were driven 100% electric. At that point, the owner may as well have just bought a much cheaper LEAF as they obviously didn’t need the much more costly extended range Volt. Over a month’s time, 200 MPGe or a little better may be possible, but that is hardly a long term metric. No car is the greatest in the world (..with perhaps the exception of the 2CV). The Volt has many limitations. While it has numerous proponents and many who seem ready to defend their purchase with their lives, the car is no better or worse than any other vehicle on the road. Seating for only four, despite being billed as a mid-sized sedan. The Volt is built upon the Chevrolet Cruze platform, which is a small car, not a mid-sized. The seating for four is because of the T-shaped battery – which runs down the center like a drive shaft in an older rear-wheel drive vehicle, but much higher – requires the rear seats to be split into two bucket seats rather than a bench. Further, space in the rear seating is limited and cargo space is severely limited. Is not efficient in many scenarios. Specifically rural living, where ground clearance is a must and highway driving is common. The Volt is made for city and stop-and-go traffic, not for long highway commutes at continuous speed. In the rural or long-distance case, it is more efficient than most cars, but not as efficient as a modern diesel or highway-efficient hybrid. It is costly. The Volt costs far more than any vehicle in the Prius line (including the plug-in) and more than most of the various iterations of the Ford Fusion. Styling is polarizing. Many (including the author) think the Volt’s looks are very unique and eye-catching. Others, however, think it ugly. Some of its proponents are like religious zealots. While misconceptions and incorrect statements about the Volt abound, often the most fanatic of its owners and proponents will relentlessly attack writers who disagree with the car or have reason to question its perfection. In the automotive press, we call them “Voltophiles.” They do more to make the car less appealing than they realize. These are similar to the “EVangelists” who cannot stand anyone saying anything negative about any electric vehicle at any time. The Volt has its ups and downs. It’s not a perfect car – there is no such thing. Some may be capable of getting extraordinary mileage out of the vehicle and love its balanced drive while others may find it to be cramped and clunky. This is true of nearly any vehicle on the road. This one is a volatile and often regurgitated myth in the media. It’s been repeated by everyone from Glenn Beck to Rush Limbaugh. It’s patently false almost in its entirety, but stays persistent because of repetition and the tiny kernel of truth contained within. That kernel is that the bailouts did keep GM in business and that, by implication, means it kept the Volt in business. Absolutely no money paid into GM by the government went directly into the Volt program or its manufacture. The majority of the bailout money paid was used to pay off other debts so that GM could become solvent again and stay out of bankruptcy. In a similar vein, many claim that GM loses thousands per Volt produced. Mostly based on faulty accounting by Ben Klayman at Micheline (and repeated by others) – a claim that is easily debunked. This is usually said with the implication that the “foreign oil” in question is from the Middle East. The truth is, it may get us off “foreign oil” if you’re talking about near-sourced imports like those from Canada or Mexico, but not from oil sourced from the other side of the globe. The fact is, the U.S. imports less than 15% of its oil from Middle Eastern sources and the vast majority of that oil is used for things other than fuel – overall, the U.S. produces about 60% of its own oil, importing only about 40%. Most of those imports go into making plastics which are, by the way, one of the largest components by volume in the Volt – or any other car you wish to name. In fact, electric vehicles like the Chevy Volt use more plastic than do conventional combustion-only vehicles because the battery cases and associated hardware are largely made of plastic. Even if we removed all domestic passenger vehicles from petroleum fuels, our imports from Saudi Arabia and Iraq (the two top Middle Eastern sources for oil in the U.S.) would not likely decline – so far, raised production levels domestically have meant that we have cut imports from Nigeria, Angola, and other more volatile African sources – not the Middle East. Oil imports from South America would also likely decline, but most of our fuels are actually made from domestically-sourced oil – often very near where it’s been extracted – or from Canadian oil imports. Where I live in Wyoming, for example, whole towns exist in and around oil refineries where the oil has been sourced nearby and is made into fuels and other items. These towns are sometimes named after the energy company that owns the refinery (Sinclair, Wyoming being a good example). Like any car, the Chevrolet Volt is not a perfect solution for every consumer. It has its faults like any other vehicle does. For some owners, the price tag may be too high, the availability of plug-ins may be too sparse, or the car itself may be too small. For others, it may be the perfect commuter vehicle that can go to grandma’s on the weekends. The politics surrounding the Volt are unfortunate. The car isn’t completely horrible, nor is it a “bailout machine” (at least, not directly or in a prove-able manner). It’s also not the green dream that many of its proponents might want to believe. In the end, it’s just another car. Innovative? Sure. Game changing? Probably not. I was busting the myth of 40 years, not saying it takes 40 years. 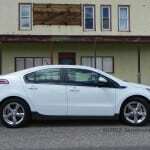 The article is about Misconceptions regarding the Chevy Volt. Why would any vehicle NEED to pay for itself? The question is whether it pays the difference between itself as a more expensive version of a lower sticker priced equivalent vehicle. In other words, would you buy a Ford Fusion or a Fusion Energi if the Energi’s higher cost was not offset by fuel savings? Fleet managers and pragmatic buyers often make these calculations. Voltstats.net for real Volts in the real world mpg stats for over a thousand owners. Jon, it sounds like you are the one spreading myths. If the Chevy Volt could get such good mileage than why are they not selling more? Nissan has sold 50,000 Nissan Leafs making it the best selling eletric car of all time btw. No offense but it sounds like you have some book knowledge on the Volt but not a lot (or possibly any) real world experience with the Volt. I’ve driven my 2011 Volt for nearly 25 months now and I’m at approximately 350 mpg. If you go to voltstats.net where the real world metrics from some Volt owners are downloaded daily you see that 628 of the 1,586 Volts that are tracked get over 200 mpg. And what is type of comment is “the car isn’t completely horrible”? The Volt has won more awards for innovation than practically any other car in the history of the industry. It also has the highest customer satisfaction ratings of any make, any model for the first two years that the Volt has been on the list. In other words the critics love the car and the owners love the car. Aaron was given a Chevy Volt by GM for several weeks. So yes, he does have real world experience driving a Volt and using it on a daily basis. You are absolutely wrong about #3. A quick visit to VoltStats.net will show hundreds of Volt owners that are averaging over 200+ mpg. The beauty of the Volt is that while it can be driven entirely on electricity, drivers don’t have to worry about the range anxiety that comes with a true EV. I’ve had mine for 2 months as of today. I’m currently averaging 347mpg. On those rare occasions when I need to go farther than 40 miles, I’m free to do so. Your contention that someone like me should drive a Leaf instead is basically counteracted by your first misconception (a Leaf does not have the features of a Volt). Nice article Aaron, but you are absolutely incorrect in your claim that the Volt cannot achieve 200 mpg long term. I have owned my Volt since July ’12 and my current lifetime mpg is 231. And I’m not consciously trying to drive to maximize my mileage. You clearly don’t have a clear understanding about how often the Volt needs to run its gas engine for maintenance purposes. If the Volt’s engine has not run for 6 weeks, it will run briefly, as you say, to circulate the fluids.. When this happens, the Volt burns off precisely one-tenth of a gallon of gasoline. And the old fuel “burn off” happens only rarely (perhaps annually?). Indeed, it will never happen unless your fuel is, in fact, old. Since I have purchased my Volt, I have consumed the full tank of dealer-supplied gas (supplied when I took delivery), and I have visited a gas station precisely once to fill my tank. Nevertheless, this has been often enough to suppress the old fuel burn off in my Volt — it has never yet happened to me. Finally, it’s not a good idea to characterize claims by Volt owners as lame, at least on this point. There is just too much objective data instantly available via smartphone. As I re-read my comment, I realized that I might have inadvertently given an incorrect impression when I referred to “burn off” for consuming old fuel in the Volt’s gas tank.. “Burn off” might suggest a complete waste of gasoline and needless pollution of the atmosphere. 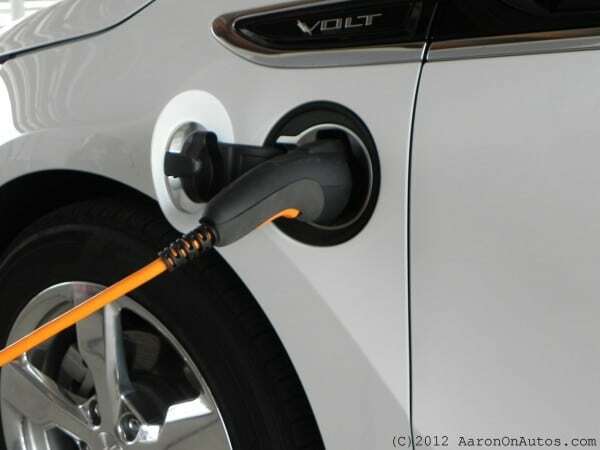 To clarify, whenever the Volt runs its gas engine for maintenance purposes, it (the gas engine) turns a generator that supplies the Volt’s traction motor with electricity, replacing the car’s battery as the power source for the duration of the maintenance burn. This, of course, saves the battery for later use. Hmmm. There seem to be some errors in #3 about MPG. I do not try very hard and I run about 85% EV, averaging 150 MPG. Given the “average commute” of 40 miles and a 40+ mile battery range, there are many Volt owners who manage 98+% electric and lifetime MPG averages well over 200. I’ve had the Volt for 4 months and average 1 tank of gas per month for those days when I do exceed the electric range. FYI the gas tank is actually pressurized so the fuel doesn’t go bad as quickly, so the horrors of being forced to burn a tank of gas only happens once a year. If you don’t use the gas engine it will run for a few minutes in “Maintenance mode” every 3 months or so to make sure the lubrication system is maintained. Too bad your corrections of the misconceptions are filled with more misconceptions. Jon and Ron, I have ceased approving your comments here. Your personal attacks, sending emails to me and harrassment of me on other sites, and inability to read or accept anything I’ve told you means you are nothing more than a religious fanatic worshiping a car. I did not call you or any of your friends a liar in this article. You, however, have called me many names and repeatedly flooded this comment area and others with repetitive accusations. Sorry, guys, but if you’re using VoltStats to make claims of over 200 mpg, you’re wrong. 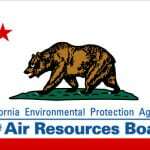 The HIGHEST average MPG (for all users) reported there is 157 mpg. Not 200, not 250, not 900+. There may be a very, very few of you who are capable of getting 200+ mpg consistently out of your car (by it’s actual burning and not from the known-to-be-wrong MPG reporter on the vehicle). But I highly doubt there are many, if any. That information source does not back up your claims. Aaron, you are incorrect. You are looking at the MPGe numbers, not MPG. These are two different things. Volt owners understand that when powered by electricity, of course there must be a way to measure the energy used,but MPGe just really isn’t an important number. What IS important is the reduction in the amount of gasoline used, or the number of actual miles driven in the vehicle per gallon of gasoline burned. When Volt owners claim more than 200 MPG, they ABSOLUTELY are correct. Voltstats confirms it, as does my personal long-term experience. Pleae correct your story. Sorry, doesn’t back up your claim. Click on “monthly totals” and it says “Monthly MPG” with the highest month in the past year being April at 152-157 (it’s a graph, so exact numbers aren’t given). They are calculating from GALLONS BURNED rather than the hokey in-car MPG/total miles the car uses. Check your Volt’s own readout and be sure it’s not attempting to report MPGe, btw. That is default in 2012 and 2013 models. You are completely incorrect in your miles per gallon figures. I don’t know what you are looking at in volt stats, but if you look up my volt stats, patrick’s re-volt, it clearly states my mpg is 388.99. In the last 1000 miles of driving, I have used zero gas. ZER0! My commute is 43.7 miles. I have owned the car for 3 months and 3200 miles. I have used a little over 8 gallons. I believe that you may have driven a volt for a couple of weeks, but my numbers do not lie! I know how many miles I have driven, and how much gas I have put in my car ($10 worth) 6 weeks ago. Aaron, in the original article you wrote: “Claims of averaging over 200 MPG (some as high as 800 or more) over several months are just patently untrue.” But in your comment above you seem to acknowledge that, well, maybe a few Volt owners are capable of getting 200+ mpg consistently. BTW, I am a Volt owner who could care less about voltstats.net, but I visited that site just now to try to make sense of your “HIGHEST average MPG (for all users)”. Not sure what you are getting at, but an average “for all users” of 157 mpg does not seem to me to be inconsistent with some getting over 200 mpg. And your claim about the “known to be wrong mpg reporter” is highly suspect too. Since I have purchased so little gas, I absolutely know, within a gallon or two, how many gallons I have used irrespective of the onboard Volt metrics. So my lifetime mpg is easy to compute, and I can verify that my Volt’s reporting of 231 mpg (lifetime) is not far off. Volt owners are a pretty analytical bunch and most are highly data driven. If you are going to make assertions about fuel economy, you had better have some data to back your claims. I think it is time for you to show us your data. No, the averages given on VS that I cited are PER MONTH averages, not averages of several months over time. If an average of 157 is given, then that means that a very few may have gone over 200 in that month, but that would only be required if there are drivers getting far lower than that. Given the consistency of the average (hovering around 120-140 monthly), that’s unlikely. It’s more likely that the vast majority of drivers are over 100 mpg in their average gasoline burning. I have shown you my data. Simple metrics based on the very site you people claim refutes me. Even the FAQ on that site backs up my “hokey Volt reporting” claim. Sorry, but it’s YOU who haven’t shown me anything more than anecdotal claims. The author refuses to acknowledge that over 600 Volts (~40%) on volstats.net have a lifetime mpg greater than 200 mpg, calculated based on miles traveled and gallons consumed. This makes the claim in #3 innacurate. This also means that among all Volt drivers, the number regularly (monthly) achieving over 200 mpg is in the thousands. Aaron, I have no quarrel with your monthly voltstat fleet average number of 157 mpg for a recent month. My issue is with your original article, specifically that Volt owner’s claims about 200+ being “just patently untrue”. So now that we know that you are basing your argument on voltstats data, why can’t you accept the other reports at that website — reports that are at odds with your thoughts about the distribution of the average mpg data. And that clearly refute your “just patently untrue” claim. That data doesn’t backup you agrument. I checked it out too. Besides, you don’t think GM has interested in inflating MPG numbers? I’d be much more inclined to see indepedent data from a non-biased organization, which none of you have provided. What do you mean by the highest average? What kind of metric is that? Your article says that people claiming to get over 200mpg are lying. That sir, is the lie. MANY individuals are averaging over 200mpg. Are all Volt drivers getting 200mpg? No(my guess is that MOST aren’t)…but throwing them into a group, calculating an average, and then claiming that the higher MPGs in that group don’t exist is laughable. Your article is incorrect. A true journalist would admit his mistake and post a correction. Many are getting it for how long? That’s the point. I can get 40 mpg out of my old Honda Civic if I really, really want to, but to sustain that over more than a month or two, I’d have to stop driving in many conditions to avoid losses (wind, slower speeds for weather, avoid city driving..). Same with the Volt. To have a very high average, you would have to skip driving when things aren’t going to make for all-EV driving – for me, that was wind, a lot of highway speeds, or anywhere that didn’t have pavement. 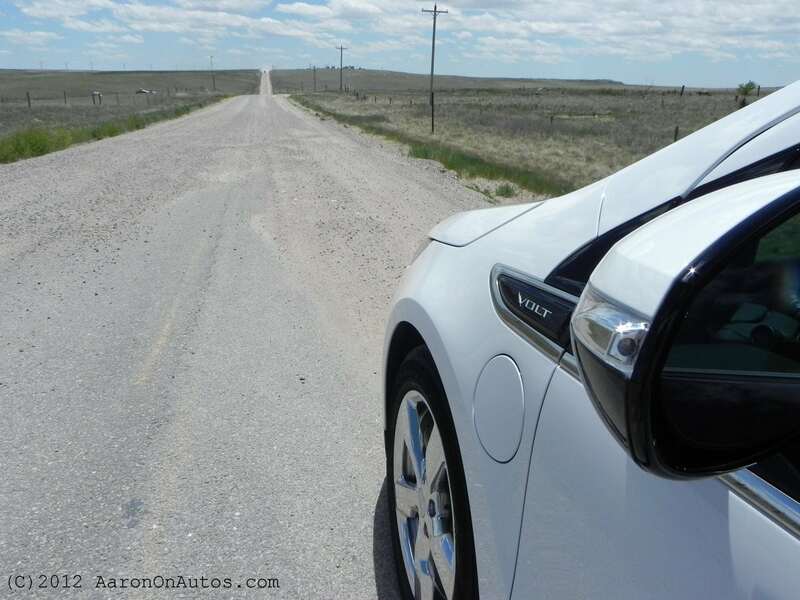 During my test drives of the Volt, I drove it normally for someone who lives here in order to figure out if it’s a fit (it isn’t – the Volt is definitely not a car for rural living). I drove it locally in an attempt to maximize MPG over several days (it did great). And I drove it as a person living in the city for 3 days in Denver, where it also did better than any non-plugin competition could have – in a similar test, though in a different city, the Leaf was more efficient than the Volt, as should be expected. I don’t devalue the Volt because it’s not a car for me, it’s a car with a very specific purpose – just as the Mazda5 in our driveway is for a specific purpose and the Kenworth W900 I haul hay with is built for a specific purpose. That was the entire point of my conclusion in this article. One last suggestion: If you are looking for a true (still common) misconception about the Volt to replace #3, is the persistent one that the Volt only travel ~40 miles before “needing” a recharge. In fact this false claim was again repeated last week by a former Vice Presidential candidate national media attention. It may seem obvious to tech and car enthusiasts, but many in the public are still on aware that the Volt is an EREV, and can operate on long trips just like a conventional gas car, indefinitely. I think your piece and the public and of course the truth would be better served by using this as the misconception. That’s not entirely incorrect. It does NEED a recharge at that point, it just gets it from the engine. Aaron, your using the average mpg of *all Voltstats* Volts of 157 to backup the false claim you actually wrote in your story is disingineous. That is the average of ALL Volts on volstats, because many are lifetime well above 200 mpg. And then the comment about the Volt “recharging” from gasoline? You are losing all credibility as a journalist; gaining as a propagandist though. Please come clean. OK, then what does the gas engine do in this car, Mark? Power the wheels when the batteries are empty? Leave your Volt idling for a while and watch to see if it recharges the battery or not. Because it DOES. That’s the entire point of an ER-EV. Overall not a bad article. I would take exception of your mileage comments. Volt owners getting over 200mpg are very common and isn’t that hard to achieve. I’ve been driving mine for ~18 months as my daily commuter. I have put a little over 12,000 miles on it and used 15.5 gallons of gas. The real issue is that MPG doesn’t really have a lot of meaning if you don’t use gas much. I charge almost every night and average 43 miles per charge so I very seldom use gas. I think a better metric is energy cost per mile. I average ~$0.03 per mile. Much better than any vehicle I have ever owned. I will agree that using MPG (or even MPGe) numbers for electrics, with the exception of parallel hybrids, is not exactly the most accurate way to measure consumption. Cost per mile is good, but converting everything it kW and using KW/mile is probably best. The problem is that 99% of the public won’t know what to do with a number like that, so it will mean nothing to them. The Volt only gets about 35-40 mpg on gasoline. So any mention of mpg higher than this is really a mix of electric and gasoline. Since the cost of both vary across the country a far better measure would be cents per mile. I get 2-5 miles per KwH depending on temperature and I pay $0.10 per KwH (delivered), so I am getting around $0.03 per driven mile on electric and at $3.50/gallon about $0.10 per mile on gasoline. Since I bought the car my driving has been 90% electric which is what I figured it would be according to calculations before buying the car. 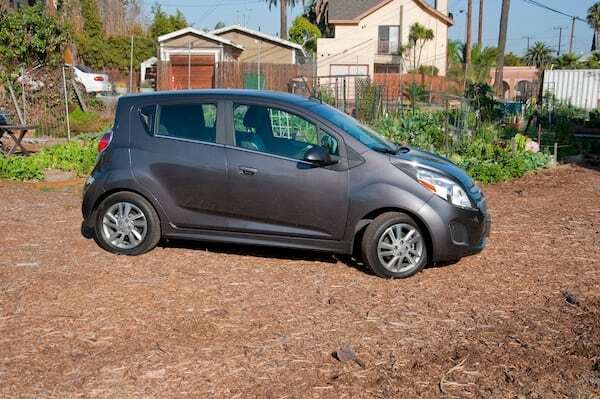 So I am saving $150/month net over my 20 mpg gasoline only car. Your savings may vary. I don’t have offpeak rates available to me either. That’s definitely true Tim and a good point. The savings of electricity costs can vary greatly depending on where you live and peak times of the day. I’ll have to strongly disagree with the statement that the 200+ MPG metric is not sustainable long-term, and that few people achieve this. I’ve had my 2013 Volt since late-Sept. 2012. To date, I’ve burned a total of 6.8 gal. of gas (still have about 2.5 gal remaining from when I picked the car up from the dealer), and have driven 7166 total miles. This gives an overall MPG calculated at 1040. My monthly metrics since October through March have all been above 850 MPG (monthly miles driven are between 600 and 1100 miles; occasional out-of-town work travel accounts for the variations). Yes – I agree that the daily charging cost isn’t counted, but we’re talking about the MPG metric here… In my previous car (an Olds Alero, averaging about 28 MPG), I spent about $150-$200/month on gas (with similar driving patterns to present day); in comparison, I’ve been paying $30-$40/month to “fuel” my Volt with electricity. No – that difference will never pay for the Volt, but that’s not the only reason to justify – to me – the purchase of this car (as many others have pointed out). 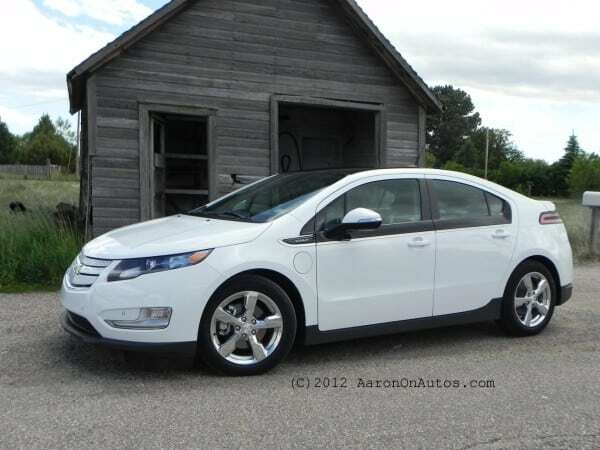 My Volt has the moniker Mars_Volt, and is currently #71 on the list (if sorted on MPG). For me, the Volt is a perfect “only car”. My daily commute averages 50 miles round trip. I charge fully at home overnight, and can also plug into a 120v outlet in our parking garage at work (provided by my employer). My daily cost to charge is about $1. Most of my gas usage has been on mornings when the ambient temperature is lower than 16 degrees F (the gas engine kicks in for a few minutes at a time to help warm the cabin – usually burns about 0.2 gal. over my 25 mile drive); I’ve had several “engine maintenance mode” burns after 6 weeks of the engine not being started, accounting for about 0.3 gal. each; and, a few times I’ve had to drive about 80 miles one way, using a bit more than a gal. each time. I’m expecting to take my Volt on a 600 mile r/t drive in a few months, so that’ll certainly drop my statistics; if I average the rated 38 mpg on the gas engine, I ‘ll burn about 15 gals of gas – making my stats “plummet” to about 350 MPG average since last September! Again – for my purposes, the Volt is an amazing car! Arron, not sure about #3. I have had my Volt since October. I have a 42 mile round trip commute so when the weather is cold I use some gas every day. On spring days I use none. On weekends I generally use none. Life of car 5437 miles and 23.8 gallons of gas. First, as a Volt owner, I actually agree with you that touting 200+MPG is misleading. But it’s not because 200 MPG is not realistically achievable, as you suggest. It’s quite achievable in fact, and many owners exceed this. The problem is that MPG is just not a good metric for the Volt. And, with all due respect, you seem to have a misunderstanding about MPG vs. MPGe. MPG is only miles driven divided by gas used and excludes any grid sourced electrical energy (which is why I think it’s a bunk metric). MPGe is miles driven divided by the sum of all energy used normalized to a gallon of gas. So while MPG can approach infinity (if no gas is burned), MPGe in the Volt can never be more than about 100 because in pure electric mode the Volt can travel at most about 100 miles on the electrical energy equal to 1 gallon of gas (34kWh). Had you argued that 200+MPG is a “misconception” in that it excludes the electrical energy sourced from the grid and is therefore misleading, then most of us would have agreed with you. Instead, you have tried to argue that it’s literally not possible and “patently untrue” which is, well, untrue. I see you have attempted to post corrections, but you’re still off the mark on several facts. Let me go point by point. That is incorrect, MPG is exactly what the Volt’s on-dash readout is giving. The on-dash readout is strictly providing Miles driven Per Gallon of liquid fuel used (which is the specific definition of MPG). The display does not attempt to include electrical energy consumption or display MPGe. So, if you drive 100% EV, then technically the MPG value is infinite as you have used no gas and the display will show 250+. If a Volt drives 1000 miles and only uses 2 gallons of gas in doing so, then the MPG displayed is 500. It’s that simple. But it’s also somewhat useless since it does not factor in the electricity used. You do realize in the Volt the A/C and heat both work with the gas engine off right? The ICE is not required to run for these accessories to function. The claims are true by the definition of MPG. It’s quite possible to drive a Volt over 200 miles using less than a gallon of gas. And it’s possible to do this on an ongoing continuous basis. The small amount of fuel burned to keep the engine lubricated and keep the gas fresh will not drop the MPG below 200 by itself. Any Volt owner that drives 12,000 miles a year and consumes less than 60 gallons of gas will have achieved 200 MPG or better by definition. In this example, they could burn through 6 full tanks of fuel and still hit 200 MPG. The fuel maintenance on the Volt only requires the owner to burn half the tank in a year, which is less than 5 gallons. So it’s actually not that hard to achieve 200 MPG. But this number means nothing, even though it is technically true. The reality is the Volt gets about 40 MPG when the gas engine is running and 100 MPGe in electric mode. It’s easy to explain it in this context. If you were to drive a Volt 100% electric all the time, you would get about 100 MPGe. If you drive 100% on gas, then you get 40MPG. In practice, Volt owners drive a mix of electric and gas miles so they get somewhere in between. The median split for Volt owners is about 80% EV, which works out to a real “average” composite value of 88 MPGe (give or take). This number also means nothing other than to say average “real world” efficiency for Volt drivers is 88 MPGe. Volt’s will never get 200 MPGe or anywhere close to it since the best case all-electric MPGe rating is only half that. Your comment about the Leaf is subjective. Suggesting that any Volt owner who achieves 100% EV should have bought a Leaf instead is about as valid as saying they should have bought a Cruze to avoid the 40 year payoff (see your first misconception). Known-to-be-wrong? Care to back that up? The gauge is spot on, actually. Again, it’s displaying actual MPG (as in miles driven dived by gallons of petroleum burned). It tracks fuel consumption with a resolution of at least 0.03 gallons. The number displayed is not off, it’s just not very valuable in a practical sense. It seems you have a misconception of your own on what the gauge is actually displaying. Now, you can argue about what value the MPG number serves, but it is by no means inaccurate. It provides exactly what it claims to. As for your use of VoltStats, I will address that in the next point. Quote: “No, the averages given on VS that I cited are PER MONTH averages, not averages of several months over time. If an average of 157 is given, then that means that a very few may have gone over 200 in that month, but that would only be required if there are drivers getting far lower than that. Given the consistency of the average (hovering around 120-140 monthly), that’s unlikely. It’s more likely that the vast majority of drivers are over 100 mpg in their average gasoline burning. First, if the monthly “average” is 157 then I hope you realize that means 50% (one full half) of ALL the Volts tracked were greater than 157 for that month. So that in no way means “very few” went over 200 MPG that month (you’d need to know the standard deviation). Second, the Leaderboard on the main page shows LIFETIME MPG. You argue that a Volt cannot sustain >200MPG over any substantial length of time, yet you choose to use Monthly Averages rather than Lifetime Actuals? That makes zero sense. As of this writing, 627 out of 1593 active users have a Lifetime MPG >200. That’s about 40%, not an insignificant portion. The Lifetime numbers actually prove that 200+ MPG is sustained over time, contrary to your claim. It also means if you took any of those 40% of Volts with a lifetime MPG >200 and calculated their monthly averages, they would by definition also be >200. While the monthly averages would also provide you with a month-to-month trend and standard deviation (or spread of the data), they would none-the-less show >200 MPG on average for 40% of the Volts on VS. Think about it, how could you have a lifetime MPG over 200, but monthly averages less than 200? Not possible. Trying to argue that the Volt cannot get 200 MPG is pointless. Arguing that the MPG number has little value and is misleading, on the other hand, is quite valid. Overall I liked your article. The other 4 points were very good. You’ve miss-characterized the fire issue as well. Saying the car would have to be left on it’s side is wrong. What happened was, the side impact punctured the battery casing, allowing the coolant to leak into the cells. (This puncture has been eliminated with a re-enforcement bracket.) When the car was rotated upside down, the coolant was forced to the top of the cell area where the BMS circuit boards are located, but even completely submerged in coolant was not a problem, as the coolant does not conduct electricity. However as it evaporated off the circuit boards it left a conductive powder behind, which after 3 weeks was enough to start the fire. Several cars hit in exactly the same way did NOT catch fire, in fact it was not until the battery itself was subjected to the same sort of abuse that any sort of sparking could be created. Both of these are wrong. Premium fuel was chosen BECAUSE it lasts longer than regular. 1) home Time of Use plans or EV driver discount plans, where rates can be in the sub-5 cents per kWh. 2) Employer based charging as a paid or reimbursed commuter fringe benefit (my case, where charging at work covers half of my daily 68 mile commute, essentially cutting my Volt personal kWh cost in half ; and resulting in my lifetime mpg of over 900. 3) Volt owners who already had a home PV (solar system) or had one installed after getting the vehicle. So the extremely high mpg (the reality of low gas gallons purchased) combined with various even more l electricity supply methods make the Volt as an EREV potential extremely inexpensive to fuel. That is the greater point of the truth of 200 to 1000 mpg and beyond! No, that does not make sense. MPG is fuel consumed while the engine is running. You can’t just change the definiton to fit your side of the agument. Would you give that definition to car shoppers at a dealership? If GM could truly achieve the inflated MPG numbers, why wouldn’t they put the Chevy Volt technology on an entire lineup? No. I drive a Prius. A good amount of the time the engine isn’t running while the car is moving. Are you suggesting that if I say I’m getting 52mpg I’m inflating my numbers? Ah, but an HEV is different to a PHEV because all motion is derived from gasoline. Well, if you care about reducing gasoline consumption for its own sake or are trying to figure reduction in fuel cost (because running on electricity is generally much cheaper than running on gasoline) a raw mpg=miles (traveled) per gallon (consumed) is very important. For anyone like Aaron who can’t figure out how owners could have raw mpg so high, I suggest putting your regular trips in a spreadsheet and working out how much you’d do in EV mode and how much in hybrid mode. Now try some different scenarios. For my part, if I drove a Volt, using EPA numbers I’d only have raw mpg in the 120s, but due to our other regular driving , if I commuted north instead of south my mpg would indeed be over two hundred. It’s easy to see how people could be achieving very high mpg numbers. As for Aaron’s foreign oil argument, I think that is also wrong. Take January 2013’s numbers for OPEC imports and you’ll notice that the Persian gulf accounts for 47% and the less stable Nigeria, Angola, Libya and Algeria only account for 24%. Using January 2013’s OPEC numbers. 45.5 gallons of product per barrel of petroleum. Or to put it another way, if you can displace 60% of miles driven with PEV there would be no need for _any_ OPEC imports. And that was using generous mpg numbers for ICEVs, ignores the mpg benefits of hybridization and ignores the fact that PEVs in EV mode would displace very inefficient gasoline use in urban environments. Given that Brent-priced crude is more expensive than Canadian or US petroleum and we’re already beginning to see Bakken oil transported to the East coast of the USA I think it’s very clear that PEV can indeed eliminate Middle East imports. There seems to be a lot of confusion here about fuel economy/efficiency – possibly because it’s a pretty complex problem on the Volt that depends greatly on usage case. The fleet average of 157 mpg is indeed what Voltstats is showing. What you have to realize is that this is a mix of cars that are driven on long trips and seldom plugged in and cars that are never driven on gas, with everything in between. GM’s original sizing was based on the NHTSA study that said 80% of drivers drive less then 40 miles a day. Those people on those trips are all electric, and achieving far more than 200 miles per gallon. Folks that drive it across the country will see more like 40 miles per gallon, the EPA highway figure. The 157 is a composite of the two cases – both perfectly valid, depending on what you use the car for. Since there are cars that are never taken on cross-country trips, those cars have no problem averaging far over 200 miles per gallon for months or years at a time – a single ~.07 gallon engine maintenance every 6 weeks is their only gas usage. Obviously, it’s only half the story. They are doing most of their movement on electricity, which isn’t factored in to that equation. I don’t think MPGe is really a useful metric – how many people know or care how much energy is in a gallon of gas? The most useful metric would be some sort of dollars per mile number – but because electric costs vary greatly and have all kinds of unique plans (time of use, etc.) it’s a number that will also vary widely between users. 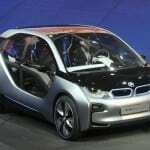 The car does heat and cool the cabin electrically, without using the engine. In extreme cold, it will run the engine as well to generate heat – GM doesn’t feel the 6.5 kW electric heater is sufficient for some extreme cases. The engine is never involved in Air Conditioning in any way. I agree Mark, I don’t think MPGe is a useful metric. Others in the auto field agree and it is a problem that should be addressed. The fact remains though that you can’t claim “200+ mpg” if you don’t have an internal combustion engine running. General Motors (aka Government Motors) is just inflating those numbers like every other automaker does. Adam: The MPG numbrr is not inflated. If someone had only used 16 gallons during the course of 15,000 miles, that divided number IS their MPG. The Prius for decades and dozens of the hybrids and plugs in (Such as the CMAX) all shut their engines off when driving for sustained peroids. And MPG is measured the same for all. 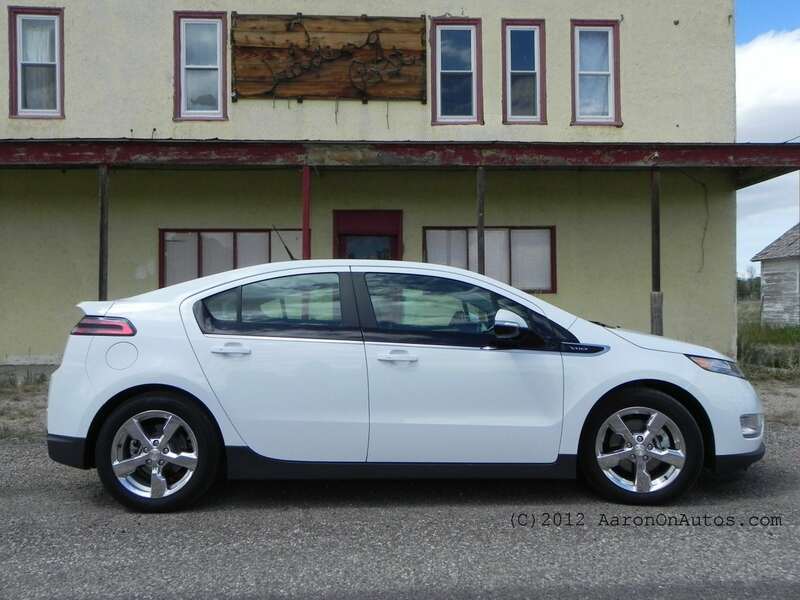 Why should it be measured differently for the Volt because it has a larger battery and more efficient design? By your flawed logic the MPG of all hybrids should be re-done. The truth it that MPG has nothing to do with whether an engine is on or not, it is a cost measure basis for consumers to judge the value of a vehicle. It is what consumers care about, in term of financial and/or environmental costs, how much $/gallons of gas the Volt typically consumes , how many gallons of gas in real world use. Aaron and you by calling Volt owners liars about this proven truth is very disturbing, and frankly the real lie. Why can’t the author properly explain in the article what dozens of us can in the comments??! Really? That is exactly what Aaron did. I drive to work every weekday, 34 miles, charge at work, drive home, charge while I sleep. It’s all very easy to do (and fun!) I got well over 200 mpg ( based on miles traveled and gallons consumed)every single month this winter (a brutal winter in New England) And yes, my gas tank is kept mostly full all the time. And I am one of thousands doing similar, a growing number. That’s the real story, not some convoluted attempt by your site to discredit the Volt’s real world efficiency and cost savings with some new way measure real world MPG that is used for no other hybrid in the world. Your correction “Added 4/13/2013: The engine must also run to provide heating or air conditioning for the passengers.” – this is not true. The climate control system heats and air conditions quite well without the gas engine ever running. What I find is interesting is that it seems most of you agree Aaron on the 4 other points he made. However, you all fail to mention that. Adam, I mentioned it in my comment. In fact, I even agree with Aaron about the MPG point in some sense. He’s right that it’s a misconception, he’s just wrong about why. What he said about the Volt, including the fuel maintenance and climate controls, is factually not true. By definition the Volt can easily travel over 200 miles on a gallon of gas or less, and it can do so indefinitely. So by definition that would be over 200 miles per gallon. But so what? That’s the point. I don’t like it any more than you, but it is technically correct. Of course, by this definition, the Leaf always gets infinite MPG, right? LOL. BTW, GM did not make these definitions, so please stop with the “Government Motors” crap. Let’s keep the discussion above the rederick please..
By your own admission GM won’t even backup the ridiculous MPG claims. GM is Government Motors. How is that going off topic? Adam, GM is *General* Motors. “Government Motors” is a term used in an insulting way by right-wing conservatives against GM and more specifically the Obama Administration in an effort to ad homenim criticize any thing the company or Administration does/did. So using this term injects ugly politics into the discourse. And BTW, the government has since sold its stake in GM so it is again a 100% private enterprise. The Treasury did sell a large amount of shares of GM, but it has not released all shares yet. The price of GM stock would have to more than double for US taxpayers to break even. We are still about $20 billion in the hole from investing in GM. Adam: I stand corrected on the Government owned GM stock, it is still 255M shares (19% I believe? So if correct then GM is currently only 81% privately owned) Govt has alread recouped 60% of its investment and plans to sell the rest by end of 2014. If the stock price rises, that would minimize any losses. The public can decide if the investment was worth the returns in terms of the impact to the economy and society as a whole. And other than the fact that it allowed GM to stay in business, this discourse has nothing to do with the Volt unless the goal is to polticize and damage it. Aaron, it’s nice to see you engaged in the comments and generally having dialogue about some of the points that people here have taken exception to; thanks for that. I see you’ve referenced some other news stories to back up some assertions you’ve made too. Part of the problem, though, is that with so many misconceptions (as you’ve stated in your title), many of these articles are also not always 100% write, and in the worst cases, completely wrong. For the issue of MPG, I’ve owned my Volt since December 2010, longer than all but about 100 owners. My commutes vary between 20 and 40 miles daily, and twice a year, I make a 750 mile round trip. With these statistics, over the life of the car, my average is 128MPG. That’s extremely impressive! I think the main point of contention that people have here, is that above you state the Volt’s gas engine MPG and then use that to calculate a payback period. VoltStats.net shows that the median driver of a Volt uses electricity 70% of the time! That greatly increases the average miles travelled per gallon of gasoline used, and it’s what confuses so many would-be buyers. Everyone’s used to looking at the MPG sticker, but with a car like the Volt, that value can vary greatly depending on people’s usage patterns. Unless you’re driving over 100 miles every day, the Volt will get better miles per gallon of gasoline used than any other vehicle out there. The exception, perhaps, would be all electric vehicles with ranges greater than 100 miles, but those don’t really exist except for the expensive Model S.
Lastly, as others have stated, at VoltStats.net you can click on the “MPG” column on the main page (twice I think) to sort data in descending order. You’ll see the Volt at the top of the list has 20,000MPG. The Volt under him has 9,700MPG, etc. This continues down to 628th entry (presently) which has 200MPG. Your article addressing misconceptions about the Volt is certainly appreciated, but I hope this will also help to highlight a couple other misconceptions in your article. They certainly don’t seem intentional, but if the point of the article is to dispel myths, they should be corrected. Thanks again for the article and for being engaged in the comments. I typed “100% write” when I meant “100% right” Sorry, that’s like nails on a chalkboard for me, haha. Feel free to edit if you have the ability. The new section “The Volt Is the Greatest F’ing Car In the World” is a straw man argument, as no one, not Volt owners, GM, nor anyone else believes this nor tries to claim it. I do thank you for finally coming clean (mostly) about the Volt’s real world efficiency. Admitting you were wrong is hard to do in public. Great article. This flap over MPG is just semantics. MPG stands for miles per gallon. This is well understood in an ICE powered car, in plug-in hybrids like the Volt, this definition becomes murky because the motivational power comes from multiple sources, gas and electricity. Yes, many Volt owners correctly claim MPG in excess of 200 MPG by following the strict definition of “miles per gallon of gas”, but I’ve always found this a little deceptive since this totally disregards the electricity pumped into the car. So who is right? Those who say no ICE can achieve MPG figures as high as 200 MPG, or those that say they can ignore their daily electric draw while computing MPG? I say both are correct, we need to understand each others differing view point and move on. Overall, interesting article. I do however have an issue with this section. The author states: 4/14/2013 This section rescinded by the author, who concedes that his original premise was incorrect and who is not interested in re-writing this section to make it correct. Another really lame claim made by many a Volt owner about his or her purchase. For the Chevrolet Volt to actually get better than 200 MPG (or its equivalent), it would have to be driven completely on electricity at all times and never have its gas engine kick on, even excepting [edited 4/13/2013] for the automated precaution of fuel circulation. Aaron, this is untrue. I have driven about 700 miles with the engine running and another 11,000 miles in EV mode in the last year. My MPG works out to 600 MPG. I took a few long trips from Palm Beach to Orlando and Palm Beach to Ft. Myers in addition to several local drives that exceeded my available EV range. Also, I live in South Florida where it gets very hot and humid, as such I use the Air Conditioning often. The engine has NEVER run to turn on the AC or the heater. The HVAC is completely electric. Please update your article. FYI, I have not purchased gas since June of 2012. You take issue that I rescinded that section? Most of the comments have gone way off track. The Volt was designed for the 80% of the American driving public that drives less than 40 miles per day. But it has the capability to make long distance trips via a range extender engine and eliminate the “range anxiety” of a pure battery electric car. If you drive 150 miles per day, the Volt is not a correct fit you you. Pretty simple really. If one vehicle would solve the needs of every car buyer, there would only be one car manufactured. You have to buy what you need. My driving patterns are about 25 miles per day five days per week and one day a week, when I drive about 75 miles. So I use about 1 gallon of gas per week with my Volt. I fill up with 8 gallons of gasoline once every two months. I really hate all this MPG & MPGe nonsense. I prefer to think of it in terms of total fuel costs per year, or fuel cost per mile per year. For my first year of operation, I used 50 gallons of gasoline. At $4.00/gallon for premium, that is $200.00. My electric bill at my home has gone up by $25.00/month, so that is $300.00 per year to charge the battery in my Volt. That is a total fuel charge of $500.00/year. I drove just about 10,000 miles. So that is $0.05 per mile for fuel, which is excellent, by any standard for a car. On a car that uses regular gas and gets 35 MPG @ $3.50/gallon, it would cost $1000.00 to go those same 10,000 miles, or $0.10 per mile for fuel. If you are driving an SUV or a truck that gets 15 MPG, you are looking at $2300.00 for fuel or $0.23 per mile. Does that make the Volt a good deal? It depends upon your driving patterns, and what you need your vehicle to do for you. And saying the Volt is too expensive does not really hold up. The average vehicle cost is now over $30,000. 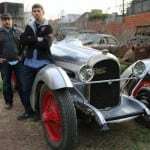 That is according to Forbes and CNBC reports for the 2012 model year. A well equipped Volt less the federal tax rebate will cost about $34,000. And lets not forget that the Volt has received more top awards and has the highest customer satisfaction of any car on the market. For a new mode of transportation, it is hardly an outrageous price. If that makes me a zealot, then so be it. I just think I have found the perfect car for me. And I will never go back to a traditional ICE based car again. There is just no comparison to the smooth, quiet ride of an electric vehicle. One last thought. If gasoline goes up by $1.00 per gallon, it will cost me an additional $50.00 per YEAR in fuel costs. What will it cost for your vehicle? From what I’ve seen the biggest misconception about the Volt is that it’s an ELECTRIC car. Would you call a Diesel locomotive electric? No, no you wouldn’t — it’s a series hybrid. So is the Nissan ZEOD, despite what Nissan’s own press releases might lead one to believe. We wouldn’t need the term ‘pure electric’ if people would just GET the fact that if a vehicle HAS an ICE in addition to an electric drive motor, it is a HYBRID. Series hybrids have been around for over 100 years. Why the sudden confusion? Just because you CAN plug it in and avoid firing up the ICE, doesn’t mean it’s not there. MPG figures with any plug-in hybrid that has ever been plugged in are completely meaningless and probably should never be compiled. Would you be interested in how much gasoline I used if I installed a Whizzer on my Schwinn? What if I bragged about having installed it just for the extra weight, so I could get more exercise? That is an excellent point and I totally agree. People do think it is an electric car but it isn’t.